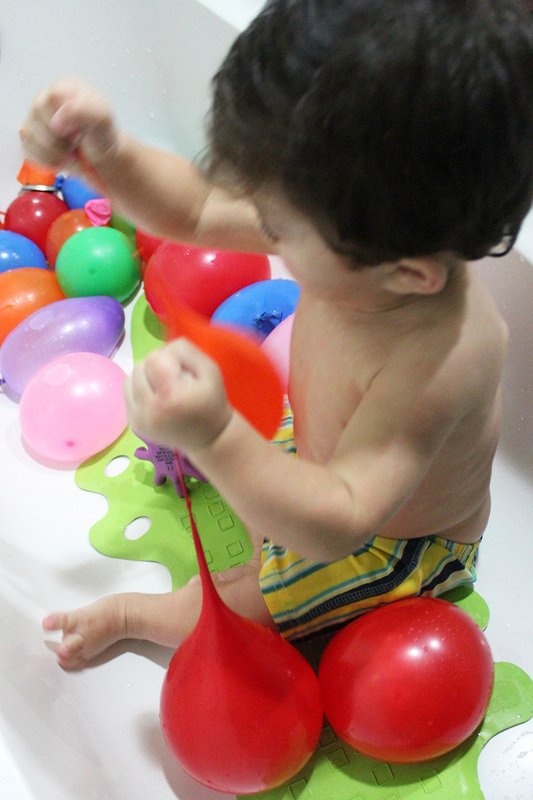 Water balloons sensory play – bath time fun! 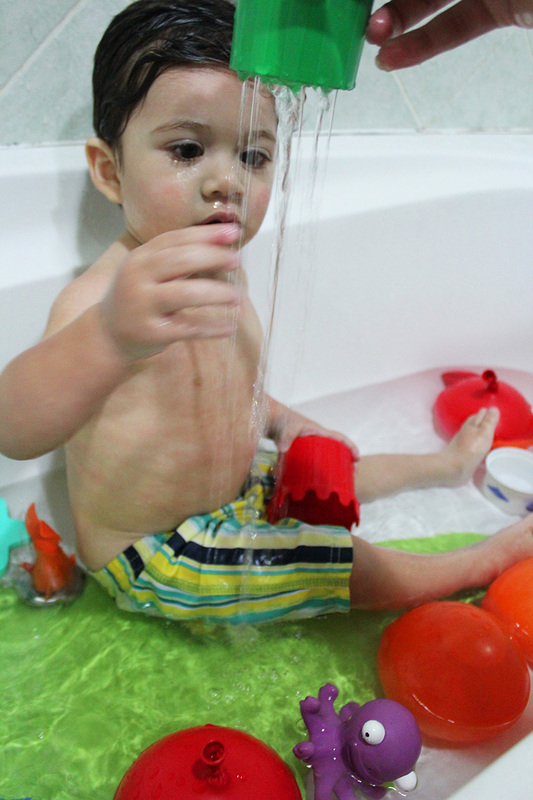 Next in the sensory play series was the limitless possibilities of water play! 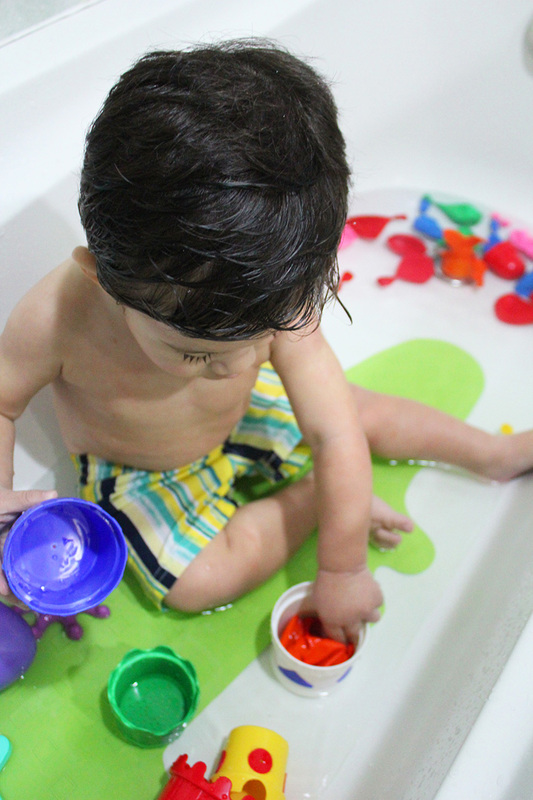 Toddlers love water, not only because of the familiarity of their womb environment, but also because it’s one of the most exciting thing to explore! 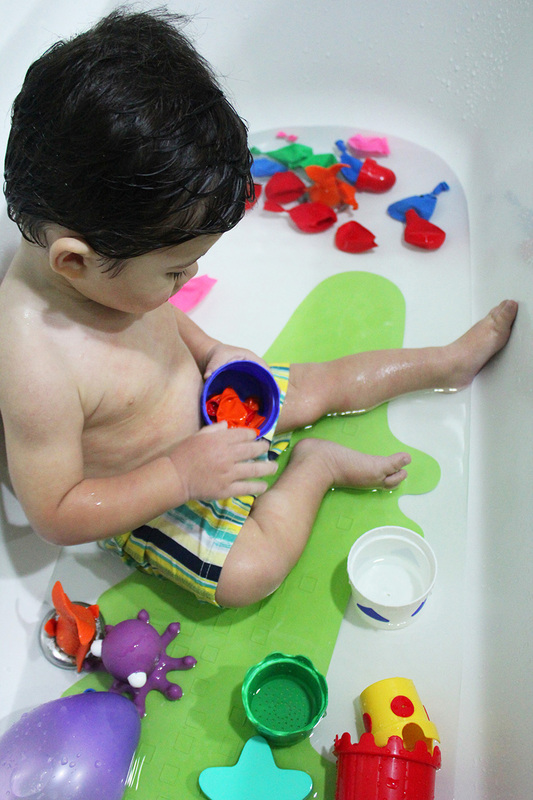 Giggle, spray, sprinkle, laugh excitedly, drip, pour, funnel tickle, drizzle… and the most fun one is SPLASH! Think of how rich and delightful water is as a play. Who doesn’t remember water balloons from childhood? 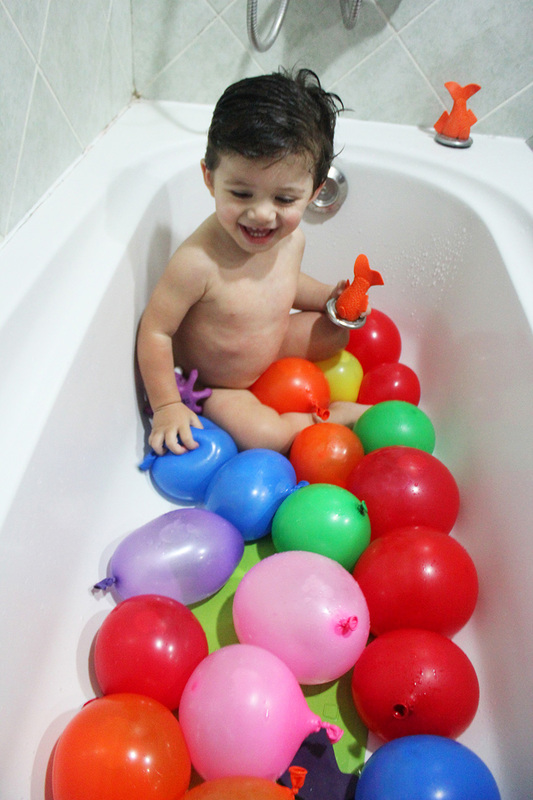 I filled about 20 balloons with water and placed them in the tub to extend the bath time fun. 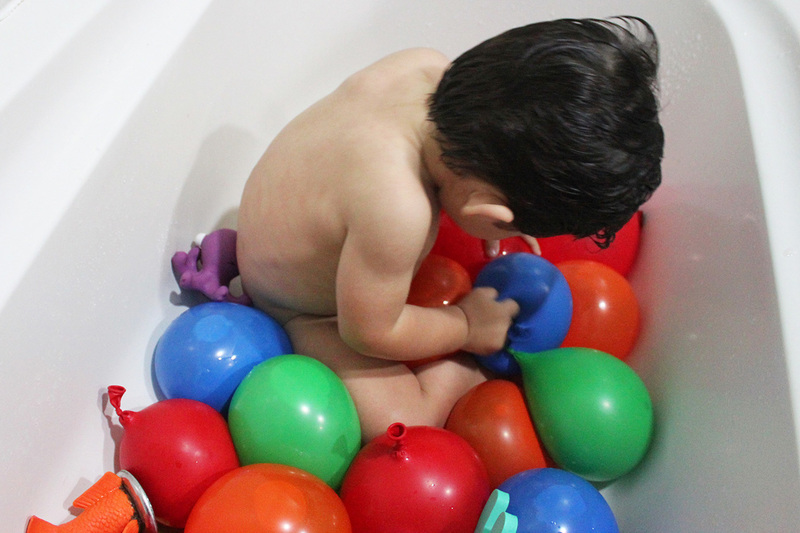 Nady got so excited, he jumped on the balloons, wanted to grab them all at once, squeezing them, twisting them into other shapes and slipping them through his hands. Water play, fosters learning in all developmental areas. 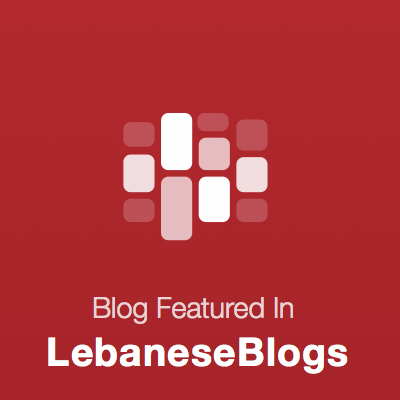 It encourages the development of eye – hand coordination through squeezing, pouring or stirring. 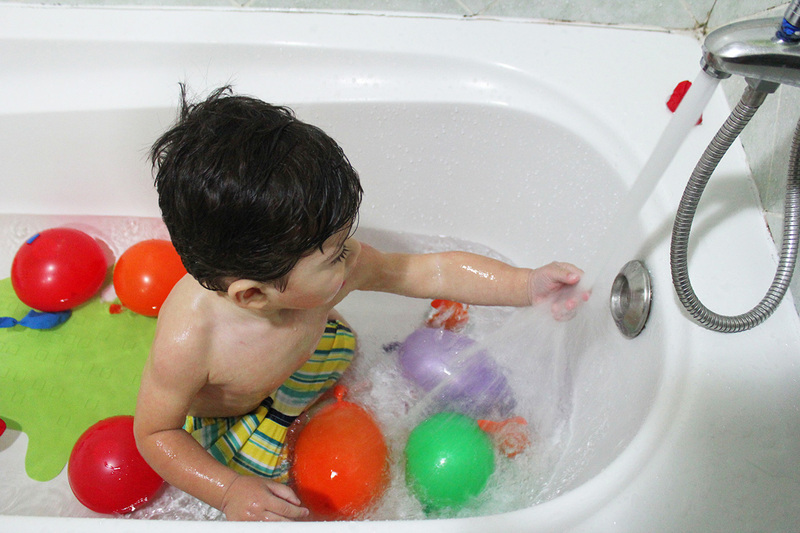 Water play relieves tension by encouraging children to release their emotions. 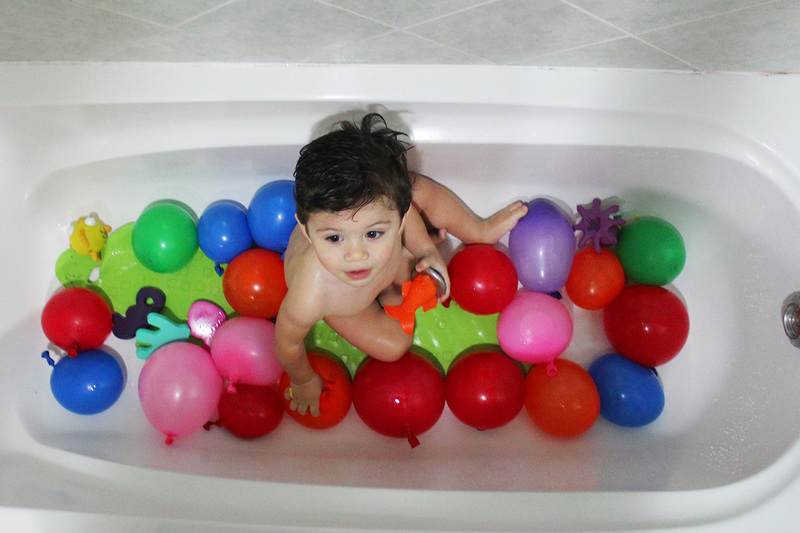 Nady was enjoying expanding the balloons. 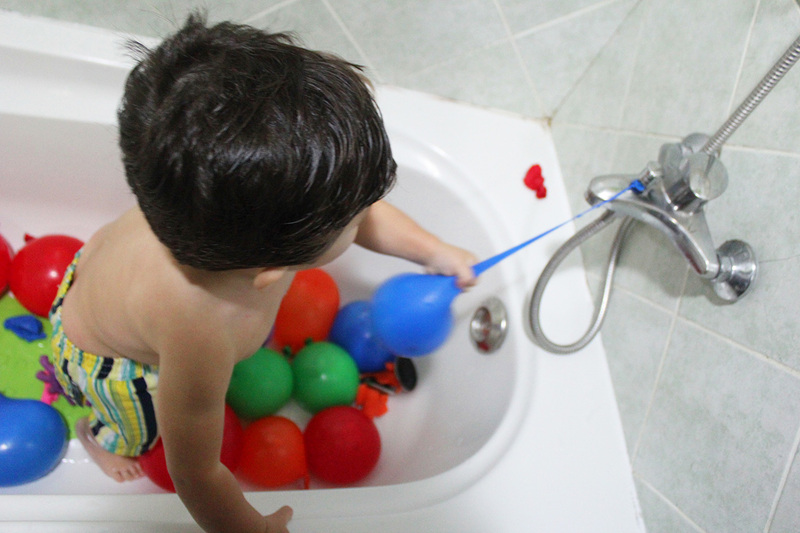 I tied the balloon to the tap and he was pulling until it splashes. You can hear a lot of giggles! Water play is such a meaningful experience to introduce new words to describe the situation such as heavy, pull, splash… for instance. Sprinkling was hilarious! I was enjoying the play as much as Nady. I loved his reaction! You can’t imagine how open – ended is this activity and how it provides opportunities for extended learning. After we burst all the balloons and wanted to end this play, i needed a transitional game to take him out of the water. I thought his stacking cups could help and he found a way to stay in the game. 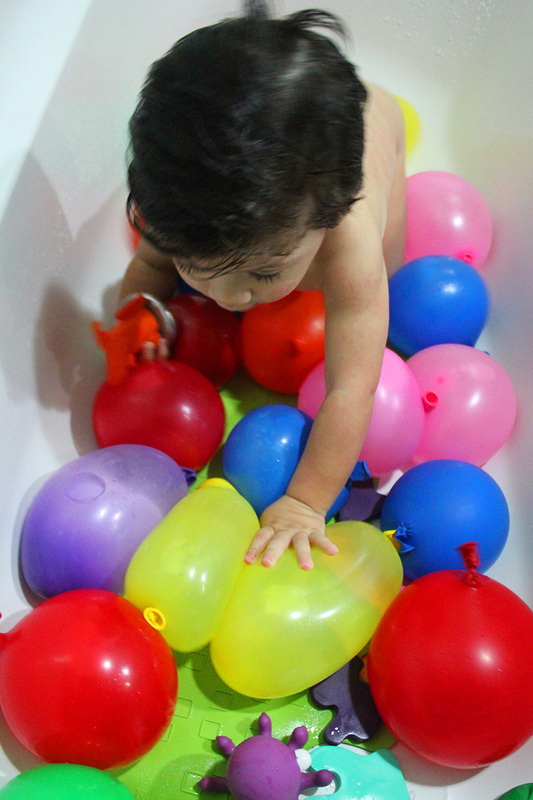 he started filling the cups with the burst balloons and pouring them from one to the other. 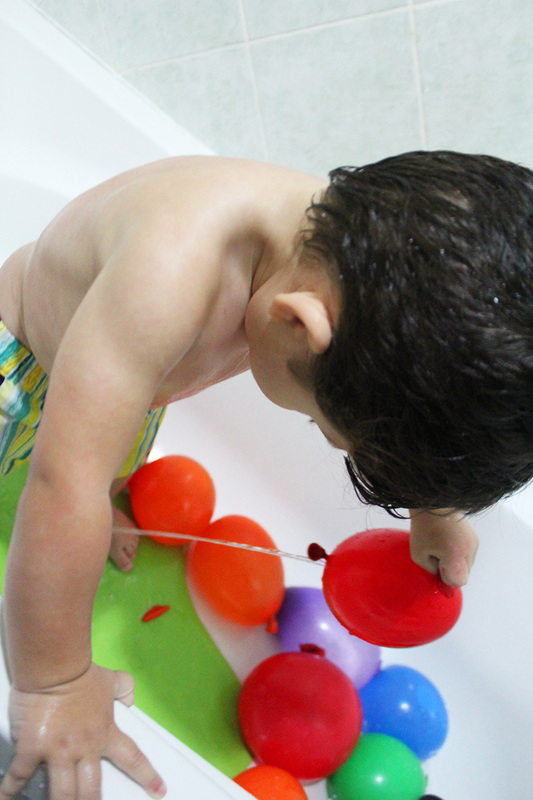 This entry was posted in way to play and tagged balloons, bath, bathtime fun, blog, fun, jaymmy, marmite et ponpon, sensory play, water, water balloons, water play, water sensory play, way to play. Bookmark the permalink.